Recent developments in JNU led to a march from the university to parliament which was met with police repression and must concern all citizens. While the university has been in turmoil for the last two years because of a relentless assault on its core institutions by the current administration, over the last few weeks, things have come to a head following the protection given by the administration to a senior professor in the Life Sciences department following complaints of sexual harassment by eight students. Although the complainants met the university authorities, not even an enquiry was conducted, leave aside taking swift action. Getting admission in a premier institution like JNU is not easy. For women students, many of them from small towns, it is often the culmination of a long struggle against dominant cultures not very supportive of girls continuing their education after a " marriageable age"; it represents years of hard work and dedication, apart from the financial burdens families face. It is particularly difficult for science students. The work is hard and taxing, and so much of lab work depends on the mentoring and discussions with your supervisor. Unless there are extreme circumstances, no one would risk their PhD or MPhil degrees with complaints against their supervisor. However, for the eight students, there was no choice. Their experience was horrifying. Lewd remarks and sexist slang, suggestive comments, quid pro quo offers, inappropriate touching, incidents of hugging and stroking; what is worse, even when such incidents were brought to the notice of the administration, no action was taken. Who can study in such a threatening environment? 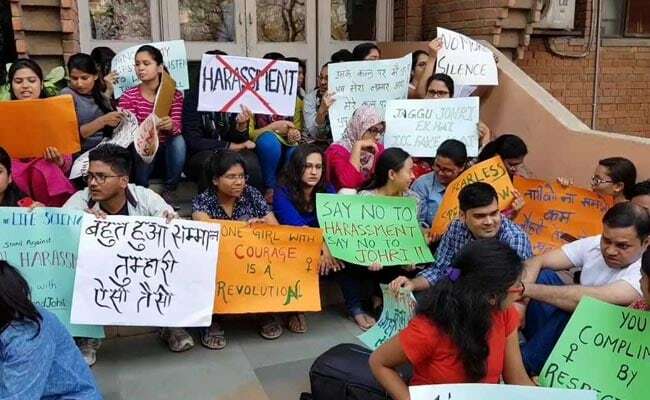 JNU students protesting against the professor accused of sexual harassment. A university should have a mechanism which would immediately kick in to help the students get justice. JNU did have such a mechanism. Called the Gender Sensitisation Committee Against Sexual Harassment (GSCASH), this critical institutional mechanism was destroyed by the current administration. Set up soon after the Vishakha judgement of the Supreme Court, JNU's GSCASH was a pioneering institution. JNU was the first in the country to operationalise the Vishakha judgement. In contrast, the central government did so only after 13 years. The framework of GSCASH was worked out in JNU through the united efforts of faculty, students and progressive lawyers and stands as a model even today for the prevention and redressal of cases of sexual harassment on university campuses and colleges. In fact, a committee set up by the UGC recently quoted the GSCASH as an example which could be adopted by other educational institutions. A majority of members of GSCASH were elected students, teachers and members of the staff. Chaired by a woman professor, GSCASH also included, as external members, representatives of an NGO that works with women survivors of violence. There were few, if any, complaints against its functioning for almost two decades. On the contrary, it dealt with all cases of sexual harassment with fairness, impartiality and exemplary rigour. The present JNU administration illegally scrapped GSCASH and replaced it with an Internal Complaints Committee, claiming that this was according to the law. It is an elementary principle that existing rights which provide a higher standard of justice cannot be revoked in the name of implementation of a law which is supposed to deal with the same subject. All social justice laws have a proviso that they are in addition to laws or rights which may already exist. The authoritarian scrapping of an institutionalized committee which had a stellar record was, in fact, the first indication that the present administration was hell-bent on diluting the rights of victims of sexual harassment. The newly-constituted Internal Complaints Committee is more an internal compliance committee, compliant to an administration whose aim appears to be to "tame" the university. Instead of a majority of elected members as was the case in GSCASH, most of the ICC members are chosen and nominated by the administration. 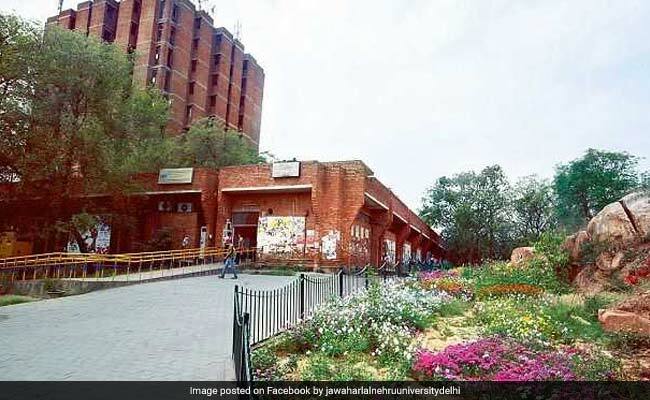 The administration itself has acted in a highly undemocratic manner under the present Vice Chancellor, paying little heed to the elected members of the union or the faculty, and riding roughshod over any dissent to arbitrary decisions which threaten to overturn all that has made JNU one of the most highly regarded educational institutions in the country. Given this, a committee nominated by such an administration can have little credibility with those whose interests it is intended to protect: victims of sexual harassment. This background is relevant because the eight young women who had the courage to speak out against the sexual harassment they faced chose not to go to the ICC. Instead, they filed a complaint with the police and prepared to take their case to court as they had no confidence of getting justice from the committee. The police refused to act. At every stage, they sabotaged the processes of justice. These incidents of sexual harassment occurred at different times and in different ways, but the police refused to file eight separate FIRs. It was only after four days of big mobilizations, including at the local thana by students led by the JNUSU and supported by the Teachers Association, that the FIRs were filed. CCTV footage should have been seized immediately. It is reported that the Delhi Police woke up to this only after a delay of more than ten days. As is well known, the Delhi Police operates under the jurisdiction of the Home Ministry and the Lieutenant Governor of Delhi. But none of these authorities acted on the complaints of sexual harassment in JNU. CCTV tapes were not promptly seized by the police, which may have allowed for tampering with evidence. After several days, a farce was enacted whereby the professor was supposedly taken into custody, but was granted bail in all the eight cases by a lower court within an hour. The public prosecutor did not oppose the bail on the utterly false ground that since the statements of the victims were recorded by a magistrate, there was no possibility of pressure from the accused. JNU was the first in the country to operationalise the Vishakha judgement. Here you see the naked display of power. On the one hand, you have eight young women whose academic futures are at stake but who have mustered the courage to speak out. And on the other side, you have the might of the administration, the biased attitude of the Delhi Police and the utter hypocrisy of the offices of the LG of Delhi and the Home Ministry. The man is still the PhD supervisor of these students. He still heads a unit in the department. He still wields the power of punishing the students. His agents are active in trying to "persuade" the students to withdraw their complaints. And yet the court rules, with the support of the public prosecution representing the authorities and government, that his custody is not required. The university has not acted to remove him from all posts and suspend him. It is a travesty of justice. Compare this to the urgency with which the Delhi Police recently raided the house of Delhi's Chief Minister. Two elected MLAs of the Assembly were sent to police and then judicial custody for ten days because they allegedly slapped or pushed an official of the government. No bail was granted to them, even though the evidence was sketchy. With great urgency, the police raided the Chief Minister's residence and seized the CCTV tapes available. Statements of the official concerned were also recorded. But the MLAs had to spend two weeks or so in jail. Such double standards are in operation right here in the heart of the capital. It is a truism that justice delayed is justice denied. Everyone knows this. But every day, the lives of the eight students resonates with this reality. When will justice be done? I remember a case from 2014 when a young woman science student in Delhi University complained of sexual harassment. She gave details. The man she accused was backed by a strong lobby in his defense including the then principal of the institution. He publicly criticized the student and those backing her, misusing his position of power. The girl persisted. An FIR was filed. It is unbelievable that it was only last week, four years later, that she got a call from the police that their investigation was complete and would she like to come for an out-of-court settlement with the lawyer of the accused. 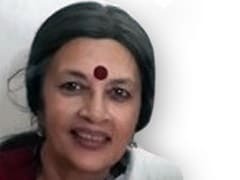 When the Prime Minister talks of women's empowerment - of Beti Padhao, Beti Bachao - the young women in JNU, that young woman in Delhi University, and across campuses, colleges and schools ask, is it too much to expect strong and quick action when we are harassed by those mandated to teach us? Political affiliation, as in the case of the protection extended to the accused by those in power, stands as the main barrier to make our educational institutions safe for women to study and gain knowledge.